Transit times on the railway service between Chengdu in China and Tilburg in the Netherlands may be reduced to fourteen days, as alternative border crossings between Kazakhstan and China are considered by Chinese rail operator CDIRS. The service currently takes around fifteen days. “The Chinese-Kazakh border crossing of Alas Hankou and the Belarus-Polish border crossing of Malaszewicze are currently congested. The containers on the train have to be unloaded and change wagons due to gauge and customs zone differences. As most trains pass through these border points, containers are stalled for three to four days. We have to find alternative crossings in to ease congestion”, explained Jialu Zhang, representative of CIPI (Chengdu International Port Investment and Development Group), the mother company of CDIRS (Chengdu International Railway Service). According to the South China Morning Post, Khorgos Gateway is expected to handle up to fifteen million tonnes of freight a year once the facility is fully complete. 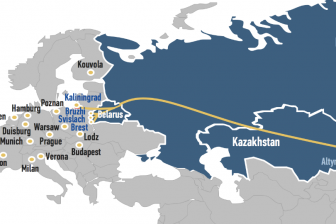 A 293-kilometre railway was completed from the Khorgos border crossing to Kazakhstan’s Zhetygen terminal end 2011, and the tracks from the Chinese and Kazakh sides of the borders were connected one year later. Today, more than fifty trains already cross through Khorgos Gateway every month. 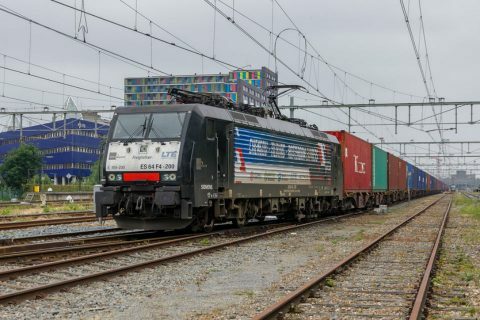 CDIRS has been operating the Tilburg-Chengdu rail freight service with their partner GVT Group of Logistics since 2016. It covers a distance of 11.000 kilometre in a direct journey, which enables the operators to offer a stable transit time and frequency. 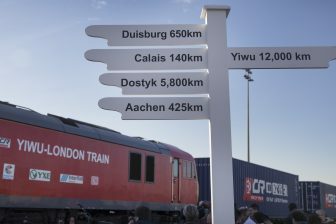 “It is the only direct connection from the Netherlands to China, as other services stop at transit hubs such as Duisburg in Germany”, explained Zhang.